This is a very pretty ring that Toma designed for the TCH COLLECTION. 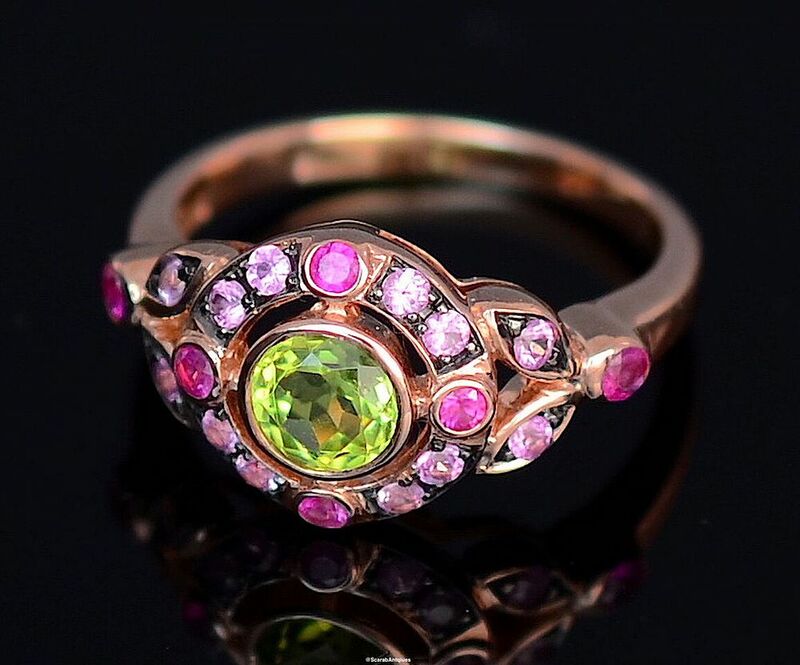 In the centre of the 18ct rose gold vermeil ring is a peridot that is surrounded by a framework of rubies and pink sapphires that are also set into the openwork shoulders. 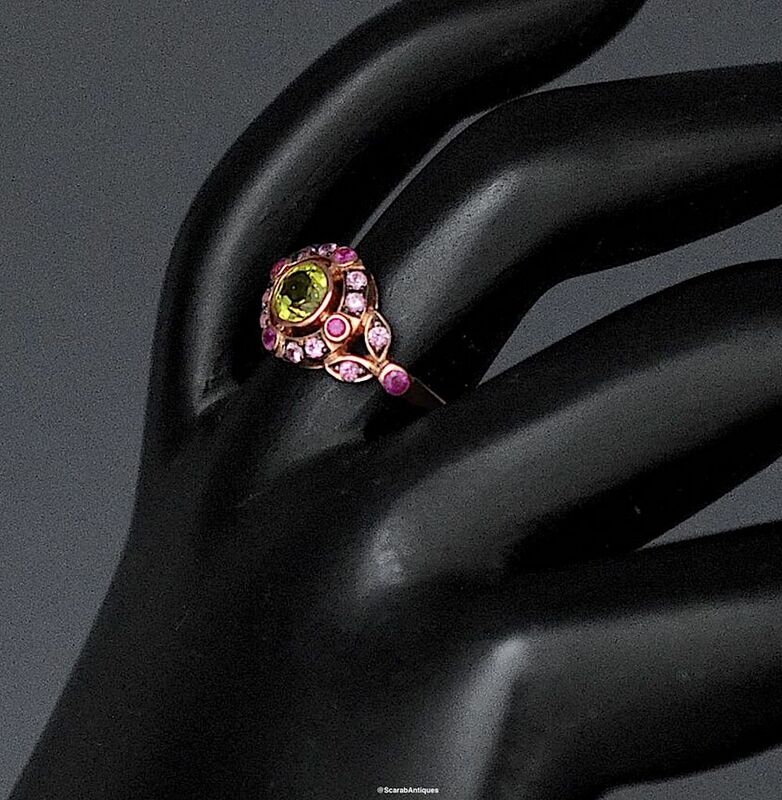 The sections that are set with pink sapphires have been black rhodium plated.